When you want to Dance the night away, we will spin the Hit’s to keep the party alive. First class professional Disc Jockey at your service. From Backyard Birthdays to Over the Top Wedding Receptions. Your wish music wise is our command and we always delight keeping the party alive. When you want the best of BOTH worlds of party entertainment. 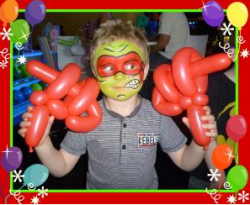 One Entertainer to do BOTH Face Painting and Balloon Twisting. Estimated, 10 Children per hour can have both services done for them. When it comes to face painting, almost everything can be done! 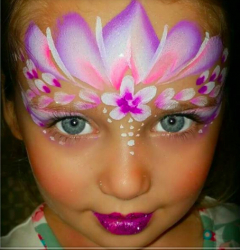 Face painting is one of our most popular features at kids parties, birthday parties, corporate kids events ….well ….most anywhere kids get together to have fun! 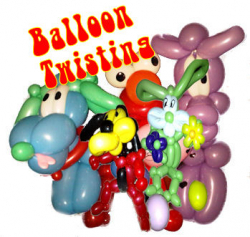 When it comes to twisted balloon art, no one can out twist! Balloon Art with Taste. From bracelets to tiaras, jet packs and motorcycles, even full dresses! Fresh new style to the world of balloon art. Balloons make people happy ! When it comes to temporary airbrush tattoo art, we offer the ultimate! 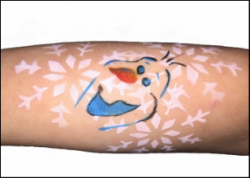 With an airbrush a non-toxic ink/paint/make-up is sprayed through a stencil onto the skin. The airbrush paint has been formulated by a qualified cosmetic chemist. It is alcohol based and all ingredients are cosmetic and food grade material being of a non-toxic nature. It is not a dye like henna but sits on the surface of the skin. When it comes to cartoon characters, we sketch up and draw the best! 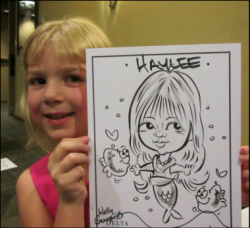 Cartoon style caricatures are always a hit at every party, whether it be a birthday party, school function, bar/bat mitzvah, or a large corporate event being held. When it comes to something different, Henna Tattoo’s will be remembered. Henna is derived from a plant named Lawsonia inermis. Twice a year the leaves are harvested, dried, and ground into a fine powder. Henna powder is traditionally used to used to dye hair and skin. Our professional artists will supply their own original recipe to make the paste. When it’s Bunny Time, we bring the white fluffy friend your way. Whether you are having an Easter Egg Hunt or just egging someone on, look no further for our interactive Bunny. 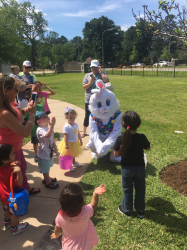 We really bring the Joy out when the Bunny Hops for you.